A few weeks ago I went out to the new Mary Maxim yarn shop that opened just down the street from me here in London, Ontario. I grabbed myself a ball of Prism Sparkle yarn and had the idea that I wanted to make a scarf of shawl of some sort. I decided I would start to work on something after I finished a few WIP's (work in progress) I've got on the go and set the yarn aside. I recently saw that Mikey from The Crochet Crowd will be attending the grand opening of the Mary Maxim on January 31st, 2015. I decided it was time I get to work with this yarn that I had. I started with a heart. I had the idea that I wanted to make a shawl with the heart but no idea how. I figured since there was only 2 weeks before the grand opening maybe it would be best if I worked up a scarf attached to the heart so that I would be able to have something finished in time for the grand opening. I got to work right away on my scarf when it hit my like a ton of bricks. I had an idea of how I could work my heart into a triangle shawl. I had some angora supreme yarn from my shop that I decided to test out my idea. I hook'ed up something that I could work with and frogged that scarf pattern so fast as this Mary Maxim prism sparkle yarn was meant for something better! I was hook'ing up my Crochet Triangle Love Shawl with my Mary Maxim Prism Sparkle yarn. I worked up 10 hearts my first row just to be sure I would not run out of yarn but found after I was done that I would have had enough for 11 hearts on my first row. I have a feeling that this pattern will cause people some difficulties because you really need to have a good understanding of right and wrong sides of work as this project can get really twisted up if you don't. I have the written pattern and a video tutorial, I hope this helps to make your own Crochet Love Triangle Shawl. Crochet Love Triangle Shawl Pattern Notes..
joining dc - row 3’s dc on the right side of the heart (left side for lefties) Photo below. As shown above, the 1st row of hearts. Untwist the chains between hearts, lay the first heart right side up and the remaining hearts laying right side down. Gauge: with prism sparkle yarn each heart is approximately 2” tall by 3” wide. Ice Yarns, Angora Supreme & Angora Active (www.dearestdebiyarns.com) #2 fine yarn and a US G6/4.00mm hook, gauge turned out 2” tall by 2.5” wide. With this yarn you could start with probably 20 hearts the first row for 1 ball of yarn. Using Red Heart Unforgettable yarn? I recommend using a US J10.5/6.50mm hook. Gauge turned out 2” tall by 2.5” wide, I'm guessing about 10-12 hearts for your first row with one ball of yarn. Crochet Love Triangle Shawl Pattern..
Crochet Love Triangle Shawl Video Tutorial.. Still having trouble with the twists and turns? Check out part 2.. I worked up a chart, it shows the general idea of the pattern but doesn't include the twists and turns. I hope it can help in some way. 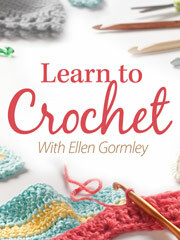 Have you made your own Crochet Love Triangle Shawl? Please share your pictures on my Facebook WALL or hook up your project on Ravelry. Download link sent to your email. 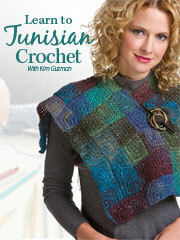 Love to have this pattern, but site will not let me have instructions emailed . Help! What type of device are you downloading from? Glad to hear that I’m not the only one that can’t open this pattern. Hate those convert doc to pdf download links. Don’t need another program on my computer. Look for the pink download arrow, right below it are the options to download. Nothing to download and/or install except a PDF. 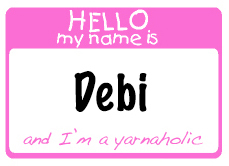 I have listed 3 different types of yarns that can be used and hook sizes to go with them. Thx for the quick download link! I’ll be making this no doubt! I’m glad to see someone besides me holding their yarn the way you ( and I ) do!!!! I can’t hold it any other way so as long s it tuns out looking good, so what?! 🙂 Lovely pattern! I sent you a new download link to email? does it work, what kind of device are you trying to download from? No matter what I do download always says “cannot open file”??????!!!!!! Not sure what that’s about? I sent a new download link to your email. I am going to have to admit to being lost. I can do the hearts, but when it comes to turning and starting the second row after making the first heart of the second row, I can’t seem to figure it out. I’ve looked at the video more than once, and perhaps it is because you are using only three hearts… not sure, but can you diagram or somehow help me see where hdc join goes, pretty please? I just added a chart image to the blog post above, please check it out. Hope it helps. Says my email address is invalid. Would it be possible for someone to send me the pattern download like to [email protected]? TIA! Just to let you know I like this pattern. It will be a challenge for me but I’m going to try. I, for once, did not have a problem downloading. Could you tell me what your finished size is? Approximately 18 inches tall by 33 inches wide. Thank you so much for sending the pattern, I love it!!! I am over halfway through making this shawl and the pattern download has disappeared from my tablet!! I shared via Pinterest again and the version of the PDF I received today won’t open. I sent a download link to your email. What a beautiful pattern for a beautiful yarn! I can’t wait to try this out. Thank you! 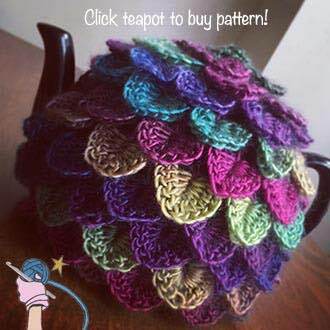 is there a way to get copy if your diagram of stitches as shown from link of Hooked on crochet love the pattern and would like to try if could print the page from link of hooked on crochet. I thought I had made it available. I will work on it today to make it ready for download. The chart pattern is now included with the pattern. How many balls of yarn are used? All three versions. I used one ball of the Mary Maxim Prism, I do not have yardage for the other yarns. Hi…how can I get the pattern? I have a question: am I to understand one ball for this item? Also if I wish a larger shawl how to adjust the pattern as I am a plus size person…. The one ball was just for a scarf sized shawl. I believe the pattern calls to work 11 hearts on the first row but you can make as many as you want to make it larger. How many balls of the Red Heart Boutique Unforgettable Yarn, Stained Glass for a full sized shawl? Thank you so much! Getting started tonight and after viewing your video on U-tube I am sure I can do this! Yippee!